Being an old Sales Guy, I’m particularly aware of any time someone is trying to “sell” me on anything. Sales pitches in and of themselves are completely fine. My issue is with scammers, preying on people with pitches which are plainly, blatantly dishonest. So when I hear how a product will cure all of what ails me, while it simultaneously cleans my toilets and saves me gobs of cash, my sales-specific Spidey Sense kicks into overdrive. Which is no doubt why I was immediately suspicious of the superlatives and proclamations accompanying the push to enact Obamacare originally. It was as if this one law was somehow a magical Nautilus machine, Viagra, and Hair Club For Men all rolled into one. And to reap the rewards of this wondrous, Unicorn-fueled legislation, all I had to do was repeat the words “Yes, We Can! !” over and over to myself, while trying very hard to not question how it’d all work. Instead, it was hailed as incontrovertible proof of his future magnificence as president. And yet, after his “uhmm-errr-ahhhhh” fest in yesterday’s press conference, to say that he’s lost whatever shred of magic or credibility he once had would be a galactic understatement, at best. 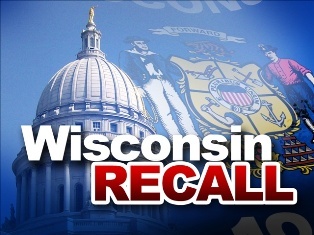 If you’ve lost track of the recall election for Governor in Wisconsin between Gov. 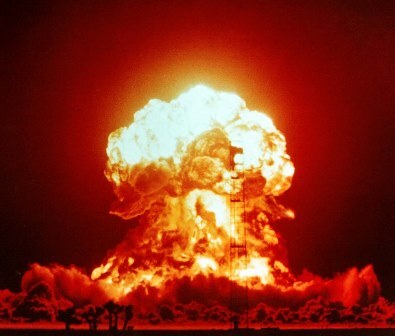 Scott Walker and his Democrat challenger, Milwaukee Mayor Tom Barrett, it’s not your fault. Things don’t look good for the recall backers up in cheese-land right now, so suddenly it’s “nothing to see here” time for the media. When you can locate a story about it now, they contain a very different tone than they used to have. Democratic National Committee Chairwoman Rep. Debbie Wasserman Schultz (D-Fla.) insisted in a television interview that a loss for the Democratic candidate in the recall, Milwaukee Mayor Tom Barrett, wouldn’t have any implications for other races, such as the presidential election. The face of the anti-union movement? Over $10 million coming from three NATIONAL unions? 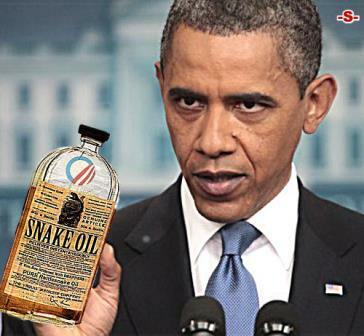 Don’t let anyone kid you: this was ground zero for the Left’s power grab in 2011-2012. 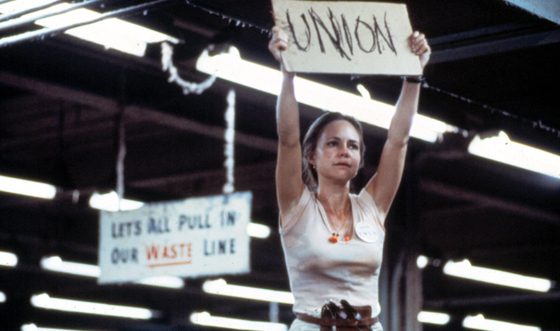 Unions and Occupodos joined forces to take down Walker. It was unbelievably important for months and months, and months……until it recently began to look likely that they’d lose. And now they are just giving an indifferent shrug and trying to convince everyone that it was never that big a deal in the first place, before this election is even in the books. 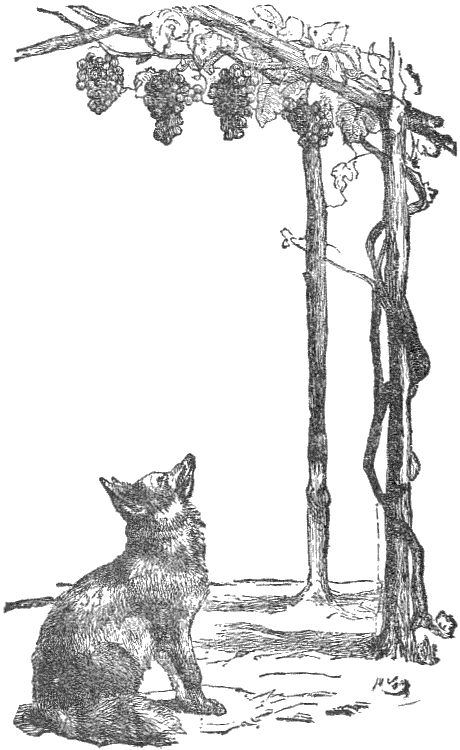 Ya know, that reminds me of an old fable concerning a fox and some grapes, but I’m sure I don’t know why….. I could go chapter-and-verse on union tactics and strikes over the years (Union Relations was my major), but that would bore even me. Instead, let’s just look at a couple of their most recent activities. A rule change by the National Labor Relations Board that allows for faster votes on union elections was thrown out by a federal judge who said the agency lacked a quorum when it approved the measure. The rule change, challenged in court by the U.S. Chamber of Commerce, simplified and shortened balloting at a time when the unionized share of the workforce is falling, according to labor relations consultant Phillip Wilson. The compressed schedule could have cut the time permitted for voting in half to as few as 15 days, Wilson said. Unions win 87 percent of elections held 15 days or less after a request, a rate that falls to 58 percent when the vote takes place after 36 to 40 days, according to a February report by Bloomberg Government. Next up: Unions working hand-in-hand with Big Daddy Government to get some free, federally enforced PR. 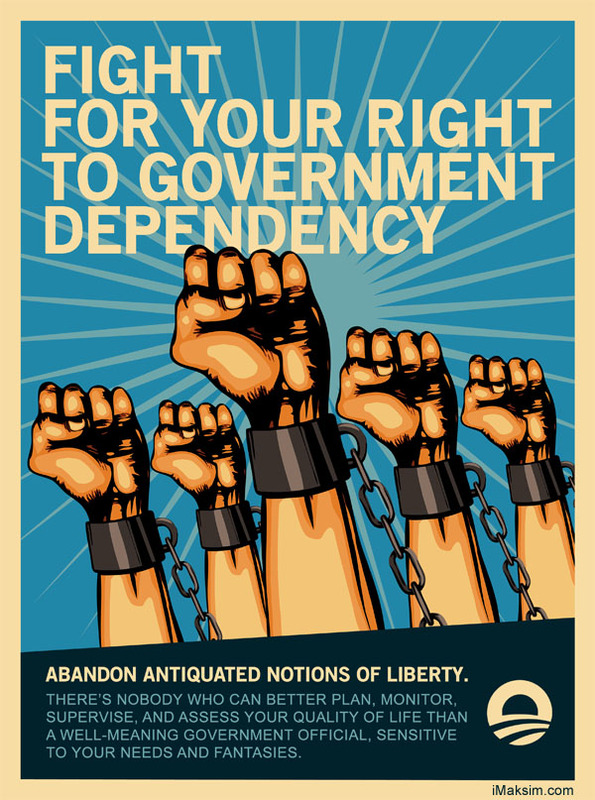 Last August, the National Labor Relations Board, which Obama packed with union lawyers from the private sector, issued a new rule requiring 6 million businesses to hang up posters advertising workers’ rights to organize. The posters themselves read like a marketing campaign for unionization. Out of seven bullet points on the poster, the first six explain collective bargaining rights under the National Labor Relations Act, including the rights to strike and picket. ***Only the last point informs workers of their right not to join a union. Under the rule, if an employer does not take the action of hanging up the sign, it is considered an “unfair labor practice,” even in the absence of any evidence that the business owner did anything coercive. The unions are on somewhat of a bad run right now, because they lost this one, too. The fact that the NLRB would attempt crap like this shouldn’t surprise anyone, certainly not after their attempted jihad on Boeing in South Carolina, which ended in somewhat of a draw. 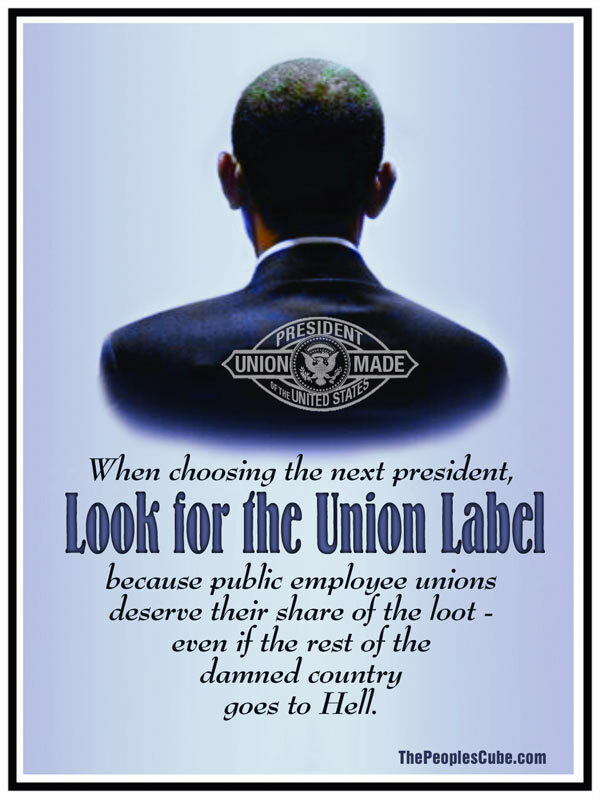 Obama implicitly approves of NLRB’s actions, since unions are a major part of his base. And the fact that you didn’t HEAR much about it means the media knows these were loser arguments. If they could have spun them as a positive, they would have. Count on it. Add in the alliance that unions have forged with the Occupodos, and we can only guess at what they’ll come up with next. Both groups are looking for greater government intervention in every aspect of our lives, with the misguided notion that this somehow is a superior way to live. Gotta admit, though: their sales pitch is tempting. This 3-minute rant goes hand-in-hand with some earlier posts of ours on the Occupy movement, but with Zo’s unique twist. I really had no intention of writing anything else today, but I kinda/sorta promised I would address this as soon as possible. Earlier this week, while we were highlighting the overt media disparity between the Tea Party and the Occupy crew (It’s the Tea Party… Run For Your Lives! ), commenter ‘ a2buckeye ‘ pointed out that the 5 men who were arrested for planning to blow up a bridge were likely associated with Occupy Cleveland. I deliberately skipped including it in my list of Occupy violence since enough facts weren’t yet known as to their Occupy kinship. Well, more facts have come to light, and ‘ a2buckeye ‘ was spot-on. The federal probe that resulted last night in the arrest of five purported anarchists for allegedly plotting to bomb an Ohio bridge began last year at an Occupy Wall Street rally in Cleveland that was infiltrated by an informant who was directed to attend the event by his FBI handlers. Wright eventually served as the informant’s bridge to the four other men busted in the bombing plot–despite the fact that the quartet was “unsure” about the snitch for whom Wright vouched. 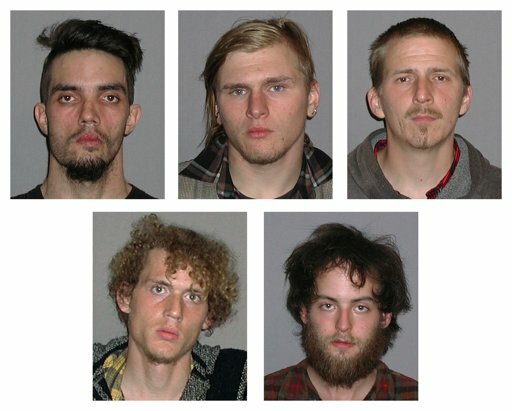 Of the five men arrested, four were involved in the Occupy Cleveland movement, according to their Facebook profiles, a news story, and a federal criminal complaint. Make sure you read his whole post (complete with video), which will be, …uh, …’problematic” for Occupy Cleveland to dispute. Gotta love those lil’ Occupy darlings. They’re so cute at that age.